b. 31 Dec. 1696, 2nd but 1st surv. s. of Salwey Winnington, M.P., of Stanford Court (e. bro. of Edward Jefferies, formerly Winnington) by Anne, da. of Thomas Foley, M.P., of Witley Court, Worcs., sis. of Thomas Foley, M.P., 1st Baron Foley, and sis.-in-law to Robert Harley, M.P., 1st Earl of Oxford. educ. Westminster; Ch. Ch. Oxf. 1713; M. Temple 1714. m. 6 Aug. 1719, Love, da. of Sir James Reade, 2nd Bt., of Brocket Hall, Herts., sis. and coh. of Sir John Reade, 3rd Bt., s.p.s. suc. fa. 1736. Recorder, Worcester 1727-d.; ld. of Admiralty 1730-6, of Treasury 1736-41; P.C. 27 Apr. 1741; cofferer of the Household 1741-3; paymaster gen. 1743-d.
His jolly way of laughing at his own want of principles had revolted all the graver sort ... He had infinitely more wit than any man I ever knew, and it was as ready and quick as it was constant and unmeditated. His style was a little brutal; his courage not at all so; his good-humour inexhaustible: it was impossible to hate or to trust him. Winnington was brought up as a Tory. Mr. Winnington, a Tory, and one I never knew on the Ministry’s side before, said the point before us was whether to continue the same number of troops as the year before, therefore he would not go back to consider how we came into the present bad situation. That he thought the best method to get out of it was to show vigour and not disband forces at a time when all other nations augment theirs. His speech was premeditated and long. In the next Parliament Winnington and his friends, Hanbury Williams and the two Fox brothers, combined under Hervey to push their claims to promotion. 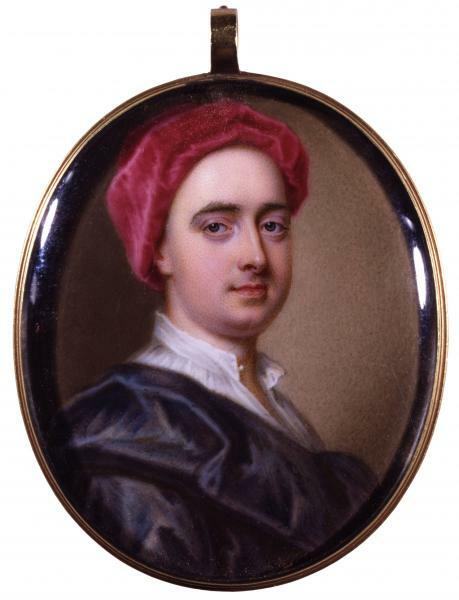 In 1735 Hervey strongly pressed Walpole to appoint Winnington to a vacancy on the Treasury board but was told, ‘you know I am the only friend (yourself excepted) he has in the Court, and that both the King and Queen have great prejudices against him’. When Winnington showed his resentment at being passed over by ‘voting in public with Sir Robert and talking in private against him’, Hervey ‘insisted on his making the option of either quitting his employment ... or ... being thoroughly reconciled. 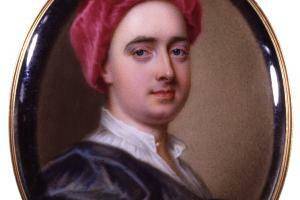 He advised the last, and his advice was followed’.6 Promoted to the Treasury next year, Winnington helped Walpole to defeat Sir John Barnard’s scheme for reducing the interest on the national debt in 1737, answered Pulteney extremely well on the Spanish convention in 1739, and secured another step in 1741, when he succeeded old Horace Walpole as cofferer of the Household. that the old courtiers and their party in the House of Commons were resolved to stick together and keep up their strength: for in the committee that sat ... till one o’clock in the morning, upon the Colchester election, Hen. Pelham, Sir Will. Yonge, Mr. Winnington, etc. battled it in favour of the sitting members, who were Sir Robert Walpole’s friends. During the struggle between Granville and the Pelhams George II relied on Winnington to replace Pelham as leader of the House of Commons. In September 1745 he suggested Winnington for the post of secretary of state in a new government excluding the Pelhams: in November Newcastle referred to Winnington as one of George II’s ‘confidants’: in the controversy over the raising of new regiments against the rebels he voted against the Government at the King’s instigation or at least with his open approval; and the attempt to form a Bath-Granville ministry at the beginning of 1746 was based on George II’s belief that Winnington would consent to undertake the management of the House of Commons. But Winnington, ‘though far from being a friend to Mr. Pelham, and wishing well to Lord Granville, yet understood his own interest too well’ to accept. Warning George II that ‘the new ministry could neither support him nor themselves, and that they could not depend upon more than thirty-one lords and eighty commoners,’ he declared his intention of resigning with the rest of the Government; and was ultimately commissioned by the King, ‘as the only honest man about him’, to invite Pelham and his colleagues to return to their posts. Winnington did not long survive his return to office. His death, Horace Walpole writes, was ‘a cruel tragedy’. ‘Not quite fifty, extremely temperate and regular, and of a constitution remarkably strong, hale and healthy’, he contracted rheumatic fever and put himself in the hands of a quack, who bled and purged him to death in a few days.9 He died 23 Apr. 1746 at the height of his powers and reputation. 1. To Mann, 25 Apr. 1746; Mems. Geo. II, i. 174; iii. 67. 2. His wife’s estate of Brocket, Herts. 4. HMC Egmont Diary, iii. 337; Knatchbull Diary, 13 Mar. 1729; Mems. Geo. II, i. 33. 5. HMC Egmont Diary, i. 28, 50, 72, 81, 136-7, 335-5, 358-9; CJ, xxi. 782; Hervey, Mems. 451. 6. Mems. Geo. II, i. 205; Fitzmaurice, Shelburne, i. 42; Hervey, 451-5. 7. Coxe, Walpole, i. 694; HMC Egmont Diary, iii. 255, 258; Walpole to Mann, 3 Mar. 1742; Mems. Geo. II, i. 174. 8. Owen, Pelhams, 149, 151; Coxe, Pelhams, i. 91-93; Gent. Mag. 1742, p. 581. 9. Owen, 282, 289, 295; P. Yorke, Hardwicke, i. 371; Mems. Geo. II, i. 173; Walpole to Mann, 14 Feb., 25 Apr. 1746.